Hello, internet! It's me, Adrienne. I'm a wife, mom, and homeschooling parent for the last (almost) ten years. We have one 19-year-old son in college and another in 7th grade. Homeschooling was never something we planned, but a lifestyle we've come to love. We began homeschooling our oldest after 4th grade and then I blinked and here we are. College. Middle school. The home stretch! If you're new here I hope you'll click around and stay a while. In the meantime, I'm recycling an old post that's still so very relevant. Homeschooling comes with a few misconceptions. Here are a few things you should know about me and homeschooling! 1. I am not a homeschooling expert. We've been at it for almost 10 years, and I love sharing our experiences, but I'll never pretend like I have it all figured out. There are days when I am confident in the calling and other days when I wonder what the heck I'm doing and pray to God my kids make it out unscathed. I'm just doing my best for my kids, just like you. 2. My decision to homeschool my kids is in no way a judgment on your choice to put your kids in public school. Or private, or Montessori, or whatever it is you do with your children. There's this invisible wall between non-homeschoolers and homeschoolers that's always a little awkward for me. When we get to talking and our two worlds collide and things are different for us than they are for you, that's OK. I'm not judging you. I like hearing your stories and learning about your family. 4. I don't plan well. Like we just had a 6 week Christmas break and I didn't plan one thing kind of not planning well. When our December break started I had big ideas for how organized and on top of school I'd be in the new year. Then I realized I'm myself. We'll be getting through this year like all the others by the skin of our teeth and before June. Bring back summer! 5. I have bad days and sometimes I want to quit. No one really told me about this when I signed up for the job. 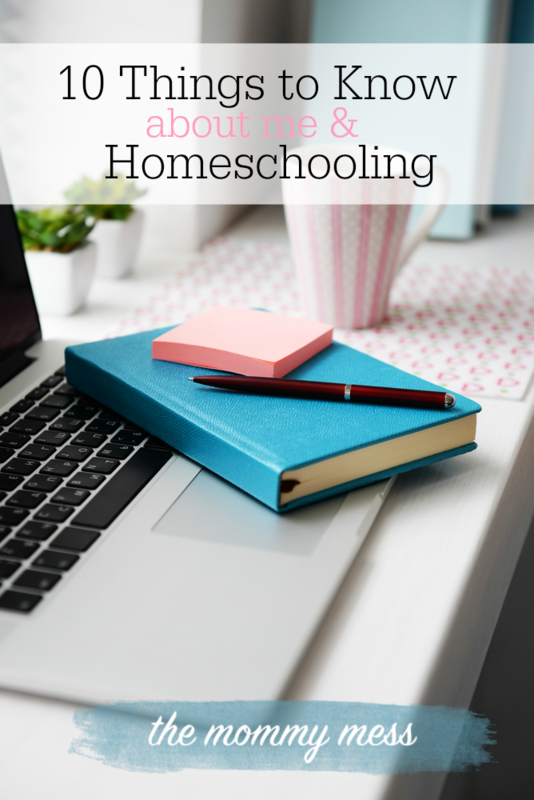 Honestly, most homeschooling moms I talked to LOVED it, and it was AWESOME and WONDERFUL, and OH YOU'LL DO GREAT and THE BOYS WILL LOVE IT and HAPPY HAPPY HOMESCHOOLING ALL.THE.TIME. But, that's not really the case. Sure, they love not having to wake up at 6:30 AM, but it's it's still school to them. Especially, when your child has been homeschooled from day one. They don't really have anything else to compare it to. School is school. Math is math. Just because we're doing a math lesson on the couch doesn't mean my kid is gonna like it. 6. I have no idea what homeschooling style we are and I don't care. We're pretty much the get our work done so we can do other stuff kind of style. There's an overload of information out there about homeschooling styles and I just had to quiet the noise. Just do whatever works for your family and call it day. If your kids are learning, you're good. Call it whatever you want! 7. I get tired of being with kids all day. There. I've said it. I picture my boys reading this and hope it doesn't sound too harsh, but you get tired of me too, right boys? We're together 24/7. Sometimes that's a beautiful thing and other times it means we want to scream at one another and hide in our rooms for the rest of the day. Being a homeschooling family has its ups and downs. Don't beat yourself up when you need a breather. Just take one! 9. I will never judge another homeschooling parent for making changes to their lifestyle. Making the decision to homeschool my children has been one of the hardest (if not THE hardest) decision I have ever had to make as a parent. There have times I have considered sending my kids back to public school and I know all too well that making the decision to quit homeschooling and send your child back is even harder. Being a parent is hard, yo. I support you. 10. I will always tell you the truth about homeschooling. I never want to sugar coat the journey and portray happy, smiling kids sitting around the dining room table over lessons. I don't know about your kids, but mine argue with each other if they sit too close. Feb 12 It's Not Always About Homeschool!